Vegan Cuts Prime Beauty Haul Box – Available Now! The Vegan Cuts Prime Beauty Haul Box is available now for $35! First batch of boxes to ship during the week of May 7. We’ll keep it simple. We want you to look and feel prime. 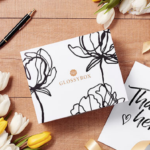 This box is prime: 20 vegan & cruelty-free beauty products, a value of over $180 and free shipping in the US. The best part is, it’s available now while supply lasts! Oh my goodness I don’t know what I’m going to do with all of this stuff! I felt I was never going to stop pulling stuff out of the box, what a great deal! Some repeats I’ve gotten from past boxes, but a nice deal! I just have so many products to get through as it is, I’m not sure I should get more. This looks like a very nice box and has several products that I’d like to try. I don’t need, but I ordered. I got the beauty haul box in November and loved it! This one looks great too! Ugh, me too. I know I don’t need it, but I just couldn’t pass it up. I just used the code stay which brought the price down to $29.75. I used the code to purchase one of the beauty boxes in the vault. Brought a $15 box down to $12.75. Thanks! thanks!! I think it will make a great mother’s day gift! Susan – thanks for providing the code ‘stay’. Can’t believe it still worked 2+ months later! This code didn’t show up anywhere when I did a search for coupons for vegan cut. Can’t wait to receive this box! Ricky’s Cult Crushers is raising their cost to 14.00 in June. I might pause my sub after next month. I’m skipping Boxycharm next month. This looks like a great deal. I saw that and I just signed up for May. But after that I’m out. Not for 14 dollars. They are hit or miss for me looking at previous boxes. And they said nothing is changing but the price. I feel the same. I was subscribing because the price was so awesome. But I feel the same about the hit or miss… I’ll stick with allure. So do they grandfather current subscribers at $11? No ma’am, increase for everyone. I received my box today. It was so heavy, my husband thought it had car parts in it..lol…..Many new products for me…..
Not sure if this matters, but when you click on the picture of the items it links to a completely different box. The rest of the links are working though.